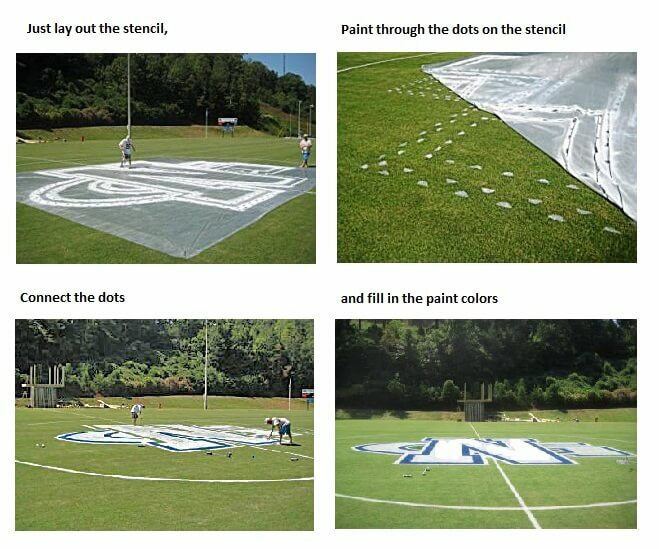 Quickly and easily paint multicolored mascot and logo stencils for you athletic fields, large outdoor areas, and rooftops. Made from 8 mil durable plastic, these stencils allow for precise transfer of your custom image to a wide variety of surfaces and are reusable. Our stencils create a tracing pattern which allows you to make a very large image without a ton of man power or a huge budget. Simple and easy to use.